Students and faculty from universities around the country participate in the annual RockOn! flight opportunity. 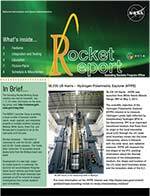 Arranged	jointly by the Colorado and Virginia Space Flight Consortia and supported by the NASA Space Grant Program and NASA Sounding	Rockets Program Office, RockOn! is a hands-on workshop teaching participants how to create a spaceflight experiment,	program a flight computer, and collect and analyze data. Additionally, after attending RockOn, groups may participate in the more advanced RockSat-C program. The RockSat-C experiments are designed by students. The RockOn! workshop participants arrive at NASA’s Wallops Flight Facility on Sunday, and are greeted by	Chris Koehler Director of the Colorado Space Grant Consortium and his team of student and Mary Sandy Director of the Virginia	Space Grant Consortium. This team of experts guide the RockOn! 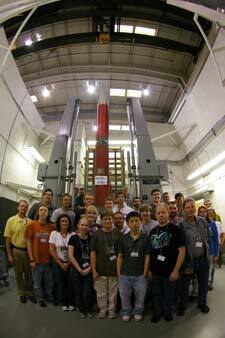 groups through construction, integration and testing of	their experiment kits, and on the last day of the workshop, the launch of a NASA two-stage Terrier-Orion sounding rocket. There is definitely a lot to learn. The microprocessor and	the sensor suit, consisting of accelerometers, pressure sensor,	Geiger counter, and temperature sensors, are integrated to form a complete experiment system capable of taking measurements	and collecting and storing data during flight. Before any data can be collected, however, the AVR has to be programmed and the students are familiarized with the C	programming language. Chris Koehler teaches the workshop in a very systematic fashion and the team of	student assistants are on standby, ready to fan out into the	classroom to help the groups complete the various tasks. The	goal is clear; all experiment boards have to be in working order before installation in the canisters, two days before	launch. There is no time to waste. The faculty/student team from Northwest Nazarene University, Idaho lead by Lawrence Miles are first time participants	in the RockOn! workshop. The team is actively involved with	the Idaho Space Grant Consortium and has launched BalloonSats in the past. They plan to incorporate their	RockOn! spaceflight experiment into future BalloonSat launches. Peter Plumley faculty member from Syracuse University, NY is here for the second time. Last year he attended as part of a faculty team, this year he brought along a student, Aaron Orbaker. Aaron appreciates the value of hands-on experience, particularly when added to a solid theoretical foundation. Jahnieka Griffin, a physics major and freshman from Hampton	University in Virginia, is exploring her career options. “This workshop	gives me an opportunity to explore space and spaceflight	related careers,” she says while inspecting the experiment board with her teammate Jayrik Hayes. Jayrik, a senior, also from Hampton	University, focused on Aerospace engineering and planned to graduate in 2010. “This is an awesome hands-on workshop	and an invaluable learning experience,” Jayrik says enthusiastically. At 4:00 a.m. on launch day, the teams leave their hotel on Chincoteague	to arrive Wallops Island in time for the 5:30 a.m. launch window opening. For most of the participants, this is their first	sounding rocket launch and they are clearly excited, as are the Wallops staff members out on the Island watching the launch. At	T-10 seconds the audience helps with countdown and at exactly	5:30 the Terrier-Orion rocket lifts-off and the RockOn! 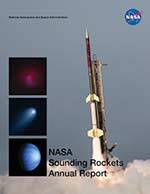 and Rock- Sat experiments are on their way to space. The rocket reaches an	altitude of 117 km and the payload starts its descent. A parachute	slows the descent and softens the impact and sealed sections	keep the payload afloat in the ocean until a recovery boat picks it up. When the payload returns to Wallops Flight Facility, approximately four hours after launch, the experiments are returned to the teams and the data analysis can begin. Initial assessment indicates	that all the RockOn! experiments worked. Data analysis for the	more complicated RockSats will take a few days. Back in the classroom at Wallops, Jahnieka is downloading the	Hampton University team’s RockOn! data and is relieved to see the data file stream from the experiment to the laptop. “The launch was definitely exciting, but learning how to build circuits and use microcontrollers is the most important part of the workshop. We’re already discussing a RockSat experiment for next year,” Jahnieka says while the data is downloading.